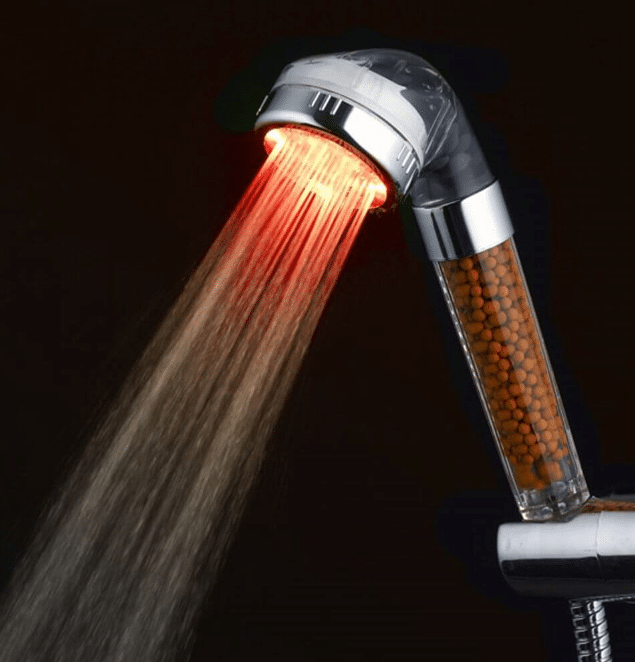 LED Shower Head Ideas – Looking for some of the most technologically advanced shower head ideas? These LED shower heads install instantly without the need for tools and don’t use batteries for their awesome LED light display or LCD temperature notification because they are powered by water pressure. These are all the rage right now and will have kids who need the motivation excited to shower. 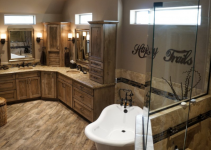 One of the reasons they are so popular is because they introduce a new dynamic into the age-old shower routine while still offering great water pressure and a variety of water patterns. They are great for kids who get the light turned off as a prank or adults! Connect these shower heads to any standard overhead or wall mount shower setup easily. 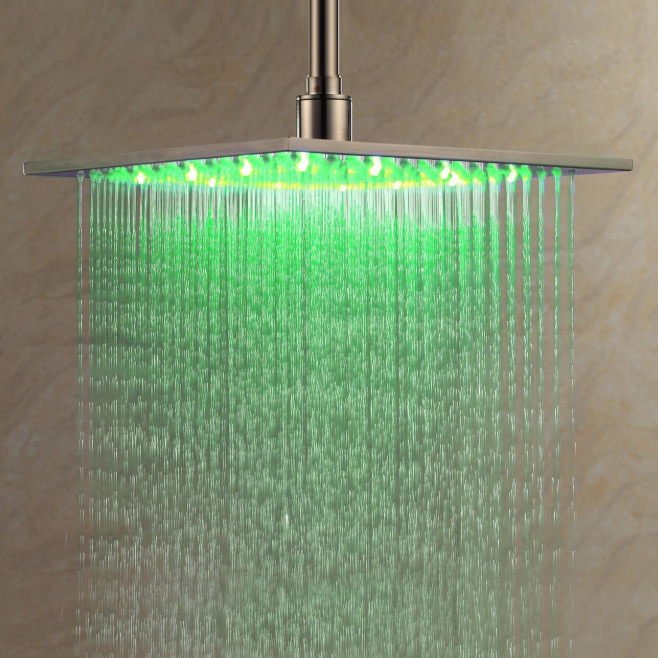 A lighted shower head is a fun home decoration idea that the whole family can appreciate. 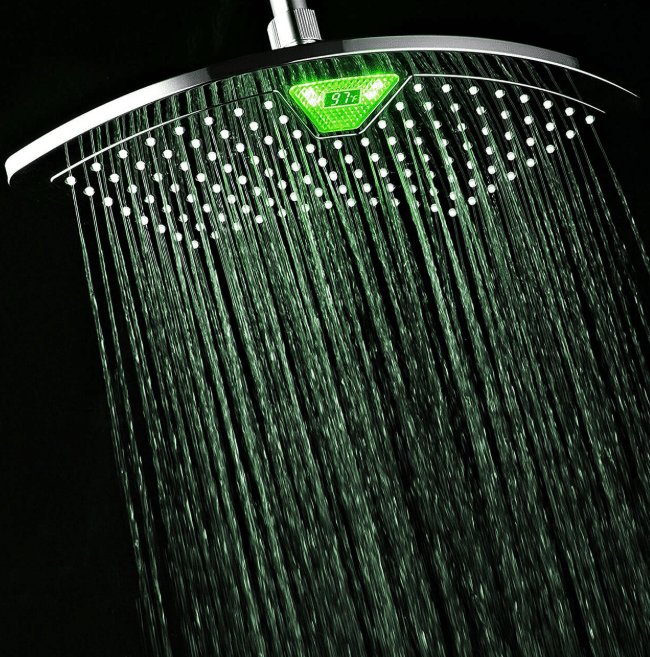 Enjoy an entire years warranty when you purchase your LED shower head from a licensed distributor. This dual shower head combo includes one mobile and one fixed over head shower. It’s perfect if you struggle with low water pressure because it injects air into the rub-clean nozzles to ensure you always have a nice shower. 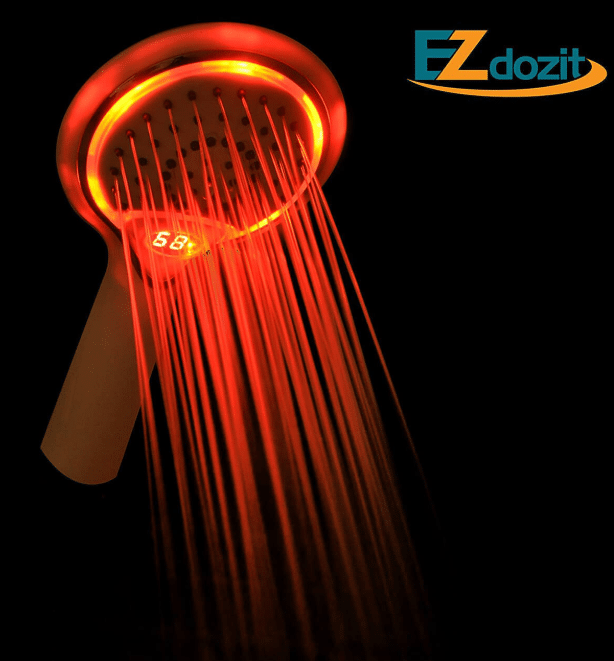 This is also a LED lighted shower head, which alternates between 7 different colors. 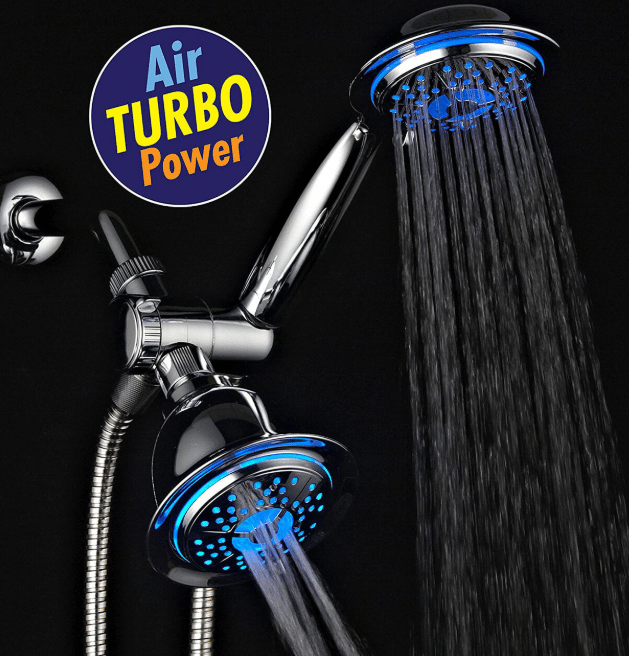 This fan shaped shower head evenly distributes a powerful flow of water in a rainfall pattern. It has LED lights that change color according to the temperature as well as an LCD temperature display. 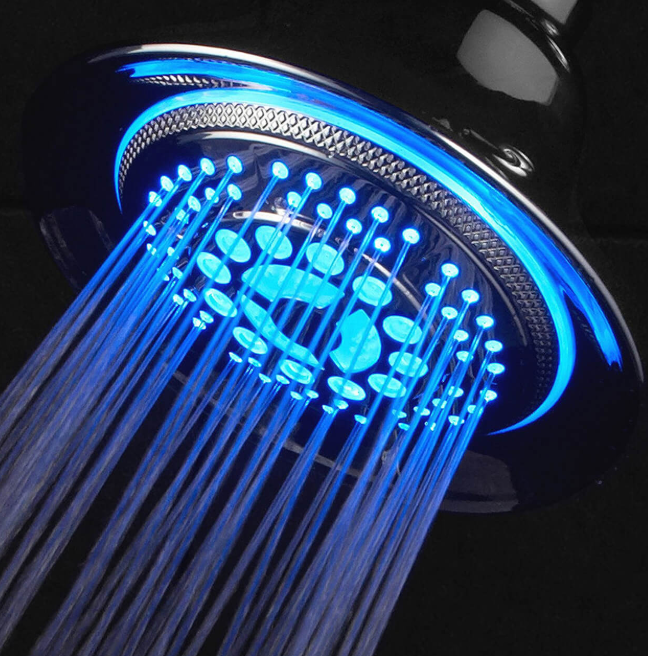 You can adjust the angle on this 12-inch, curved, fan-shaped led shower head. This has rub clean nozzles and is for an overhead fixed shower. People love this shower for how it widely distributes a steady and even shower of water. The LED lighting alternates between three colors that change according to the water temperature. There’s also an LCD screen that displays the water temperature in Celsius. You will have no problem getting your kids to go take a shower with this fun home decoration idea. 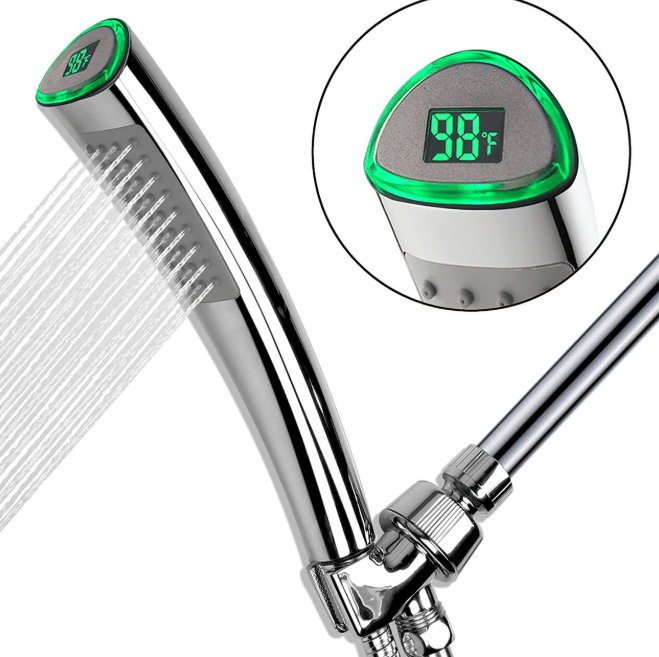 This shower head with the temperature displayed in green on the LCD screen is not a bad home decoration idea and is also perfect for bathing your pets. Kids can learn about temperatures while enjoying the powerful water pressure of this jet shower head; it comes with a hose, mounting bracket and Teflon tape. This lightweight, handheld or stationary shower head is an ingenious and useful home decoration idea that keeps you in the loop when it comes to knowing the exact water temperature. Green LED lighting for cold, blue for warm, red for hot and flashing red for when the water temperature reaches or exceeds 44C. Also, the stem is see-through and filled with Anion beads that neutralize chlorinated water and add beneficial negative ions. 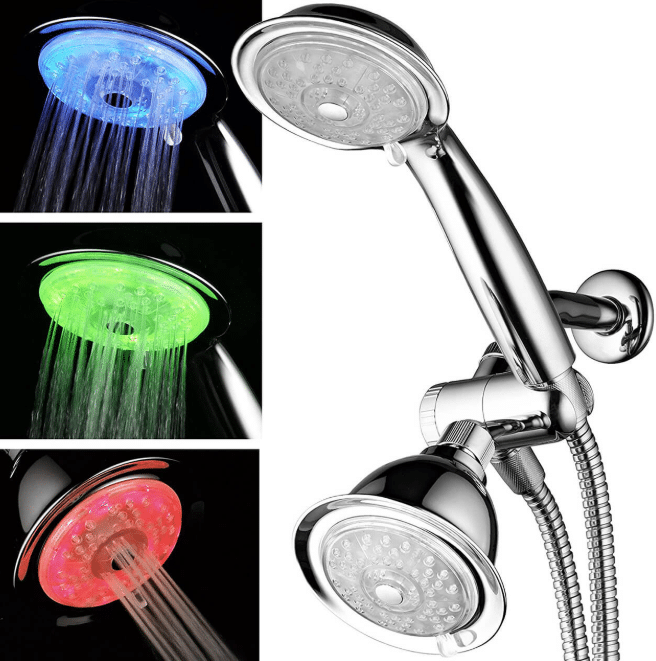 This fixed or handheld LED shower head is made of tough ABS, has a long-lasting chrome finish and 7 LED light colors that light up the entire bathroom turning it into a mini disco. 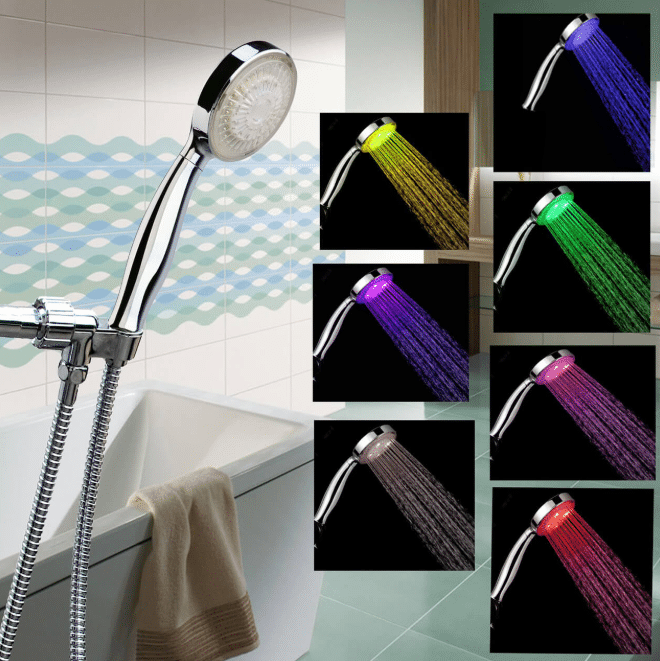 This color changing shower head comes with a stainless steel hose and hook. Maximum water flow rate is the standard 2.5GPM and works with pressures from 14 to 87PSI. 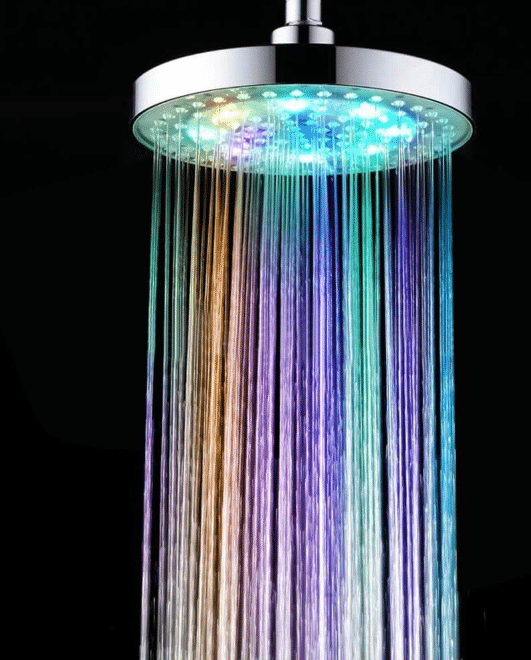 This overhead light up shower head immerses you in a rainbow glow of light as you shower. The head is on a revolving joint, but still easily to install, so you can set it to the desired angle. Max, this shower head has a water-flow rate of 3.4 GPM but can be turned down. Get double the shower with this two-headed combo from PowerSpa. 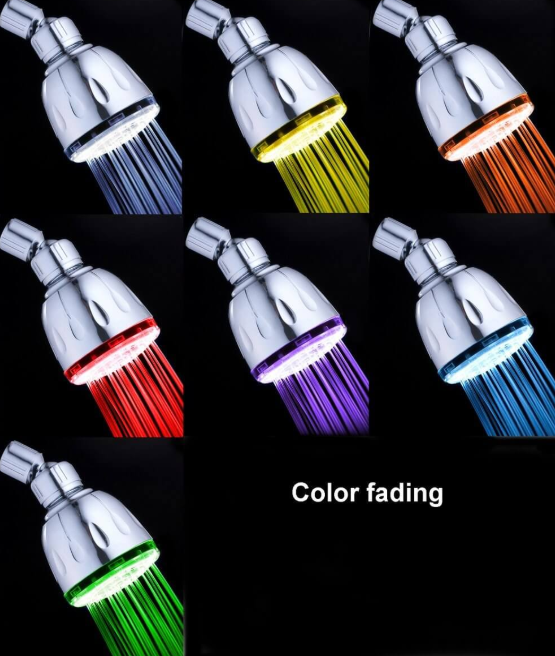 Each shower head has 7 LED light colors, which fade into one another. One shower head is fixed, and one can be set on its hook or held by hand. Both shower heads can be set to rain, rain with massage or massage water patterns, both can be paused, and the light up shower head set attaches easily to any standard shower hose. 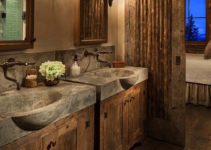 How Much Budget Bathroom Remodel You Need?